Both shrubs and trees produce a rainbow of wild berries. Forest animals often eat these berries for nourishment. Many types of wild berries are safe for human consumption, but some trees and shrubs produce poisonous berries. Don't eat wild berries unless you can properly identify the plant. Toxic berries can make you extremely sick. Most wild berries grow on shrubs, but a few grow on small trees. Various types of wild berries grow on small trees throughout woodland areas. Wild plums grow on trees reaching up to 20 feet tall. Plums have a sweet, yet slightly acidic, flavor. Chokecherry berries grow on large shrubs or small trees reaching up to 25 feet tall. Pin cherries also grow on small- to medium-sized trees growing 20 to 30 feet tall. Pin cherries have a bright red color, thin flesh and sour taste. Juneberry grows 6 to 20 feet tall and blooms red fruit that turns purple and black as it matures in June or July. Blueberries grow naturally in the wild on short, medium-sized and tall shrubs. Enjoy hundreds of different edible varieties such as Jubilee, Emerald, Jewel, Misty and Star. Most of these berries grow on the Southern Highbush shrub. Blueberries also grow on bushes classified as low bush or rabbiteye. The size and shape of the berries varies greatly. Misty blueberry bushes produce medium-to-large, sweet and spicy berries, and Jewel bushes grow very large, tangy berries. 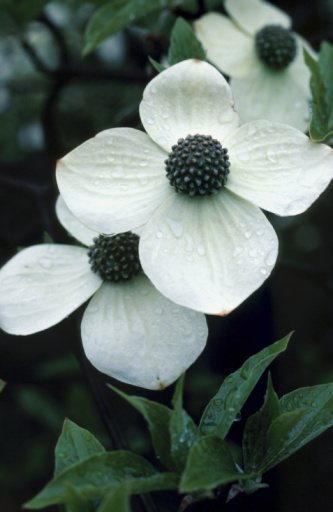 Southern Highbush shrubs grow 3 to 8 feet tall and low bush shrubs stay low to the ground and grow 6 inches to 2 feet tall. Wild raspberry shrubs produce a wide variety of berries, depending on the species. Some bushes, such as the Heritage, Red Wing and Fall Gold, produce berries throughout the year. Latham, Royalty, Bristol, Allen and Black Hawk are just a few of the many summer-bearing raspberry bushes. 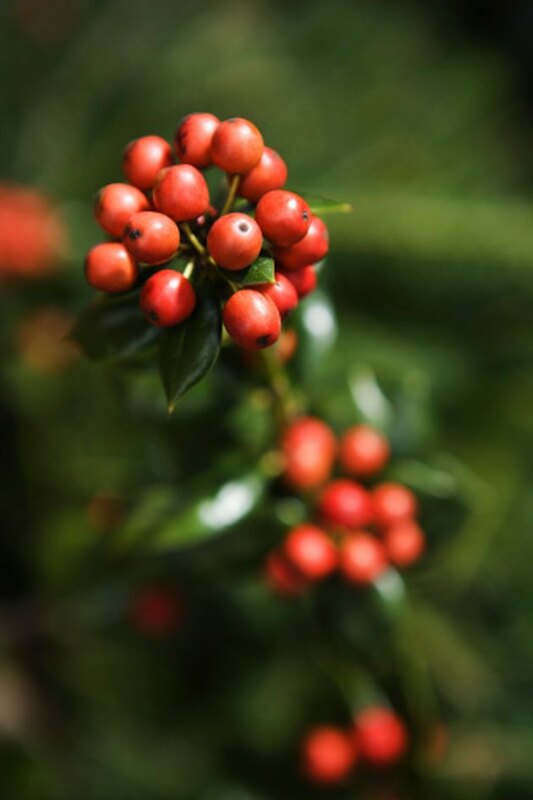 Most bushes grow sweet berries, but some types, such as Brandywine, have a slightly sour taste. Raspberry bushes grow 24 to 30 inches tall. Elderberries grow on shrubs reaching 4 to 12 feet tall. These shrubs produce purple and black berries in late summer and early fall. Sandcherry shrubs grow 1 to 5 feet tall and produce round or oblong-shaped purplish-black berries in summer. The Highbush granberry grows 3 to 10 feet tall and produces while flowers along with oblong-shaped yellow and dark red berries. Both gooseberries and currants grow on small shrubs, reaching 2 to 5 feet tall. 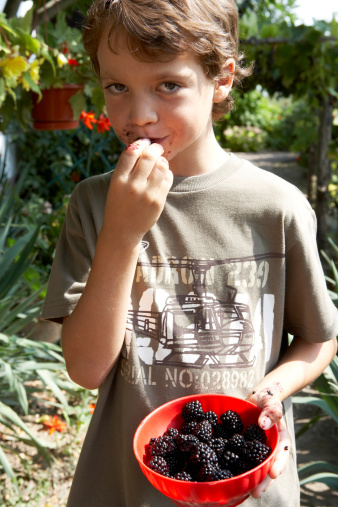 Currant bushes produce sour, pink and red berries and gooseberries have red and purple, sweet berries.